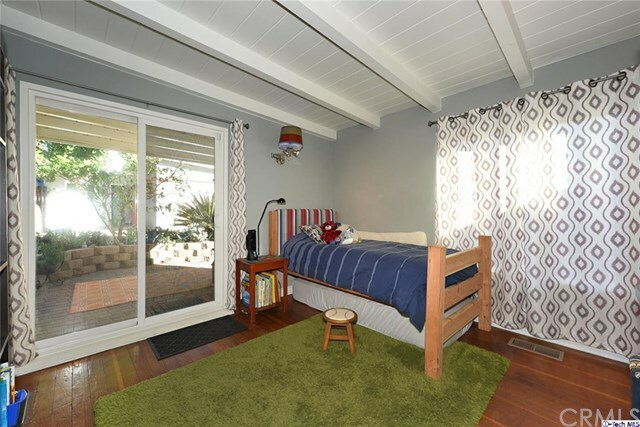 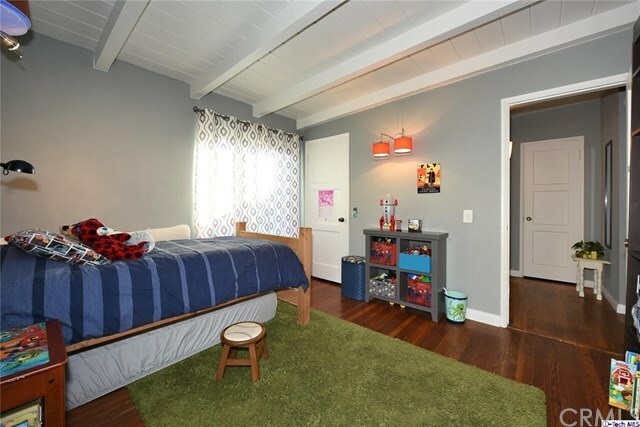 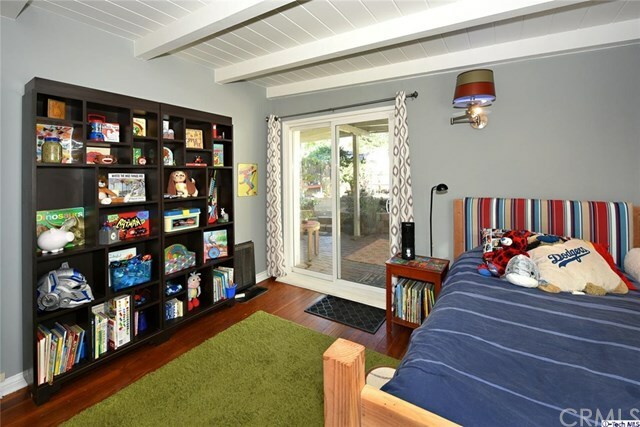 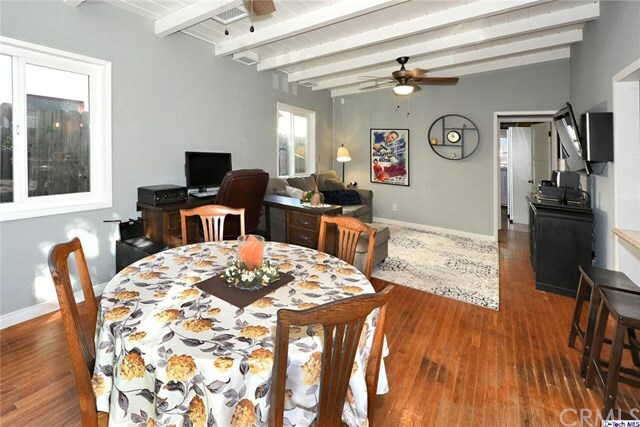 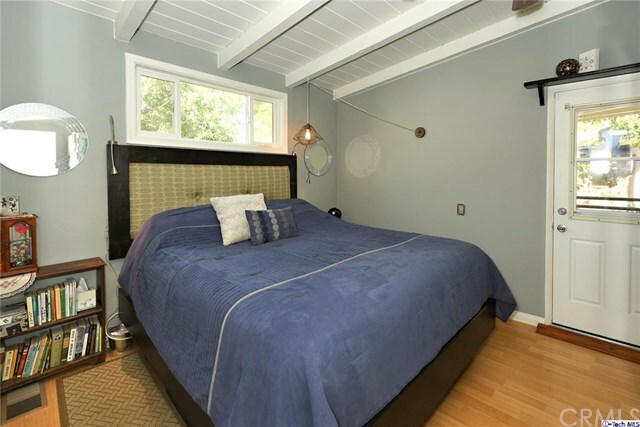 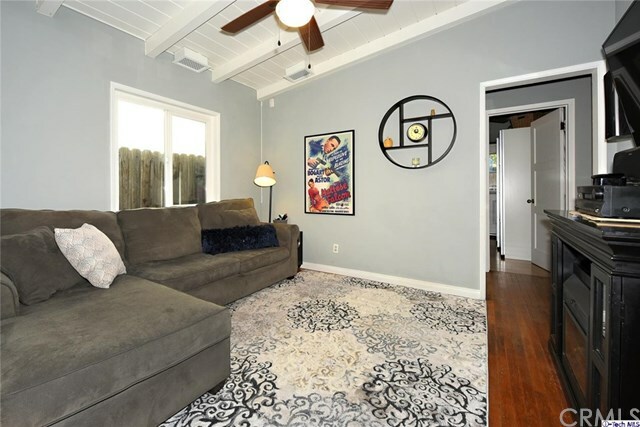 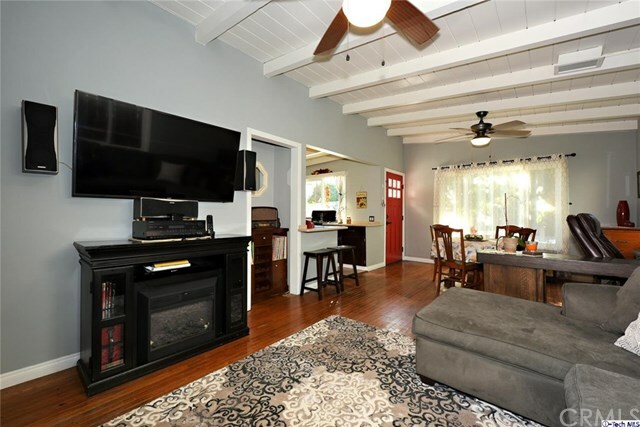 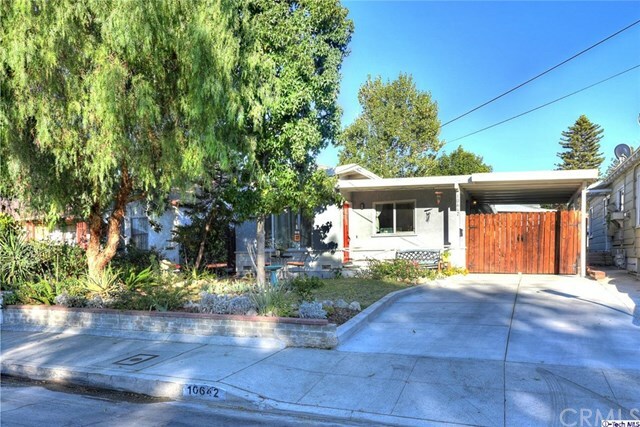 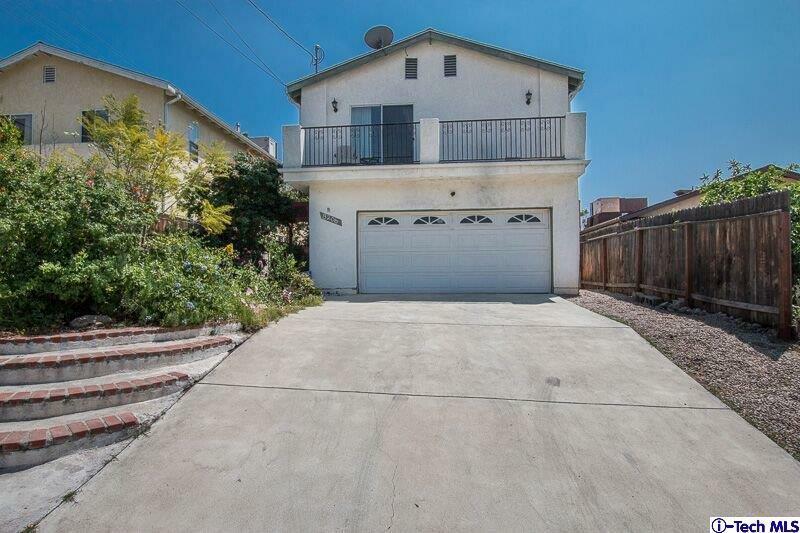 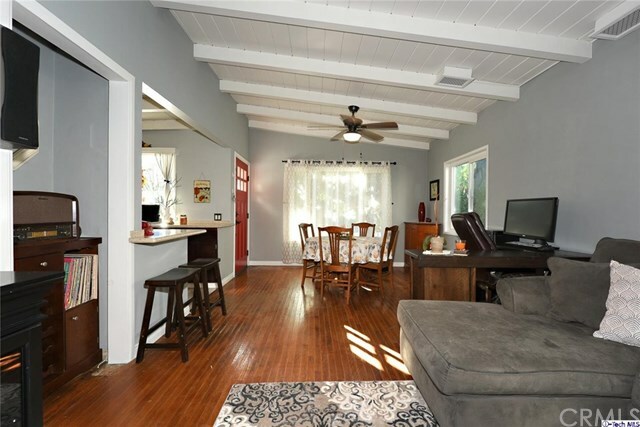 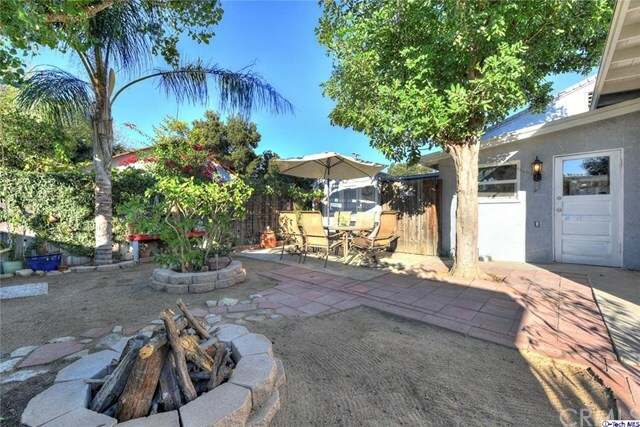 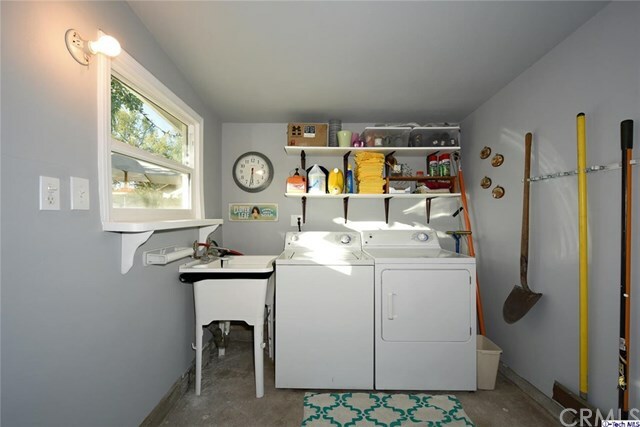 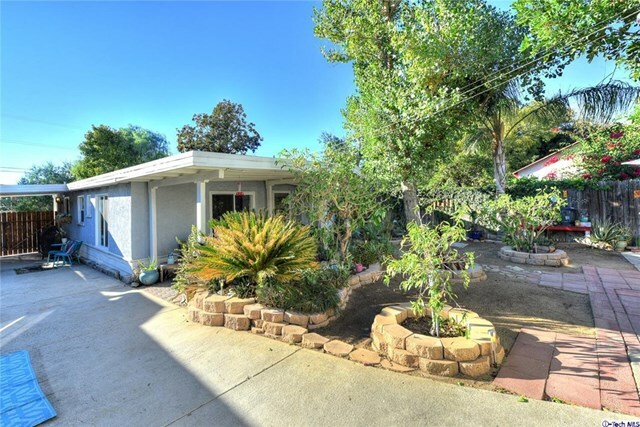 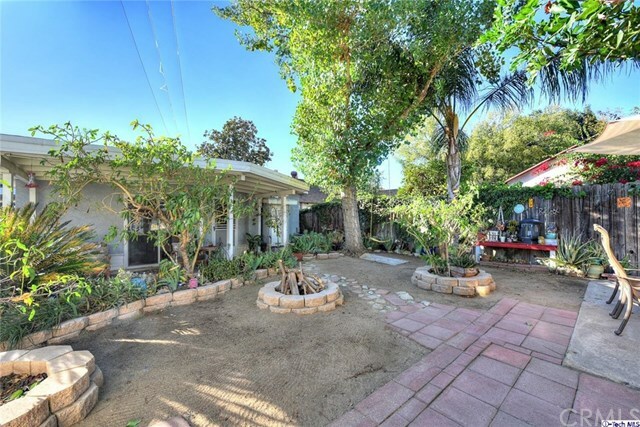 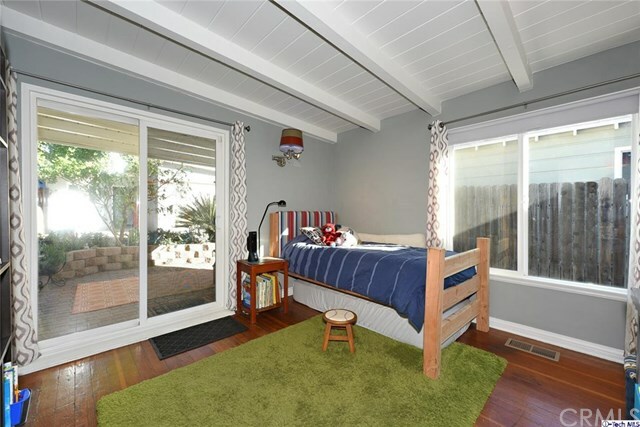 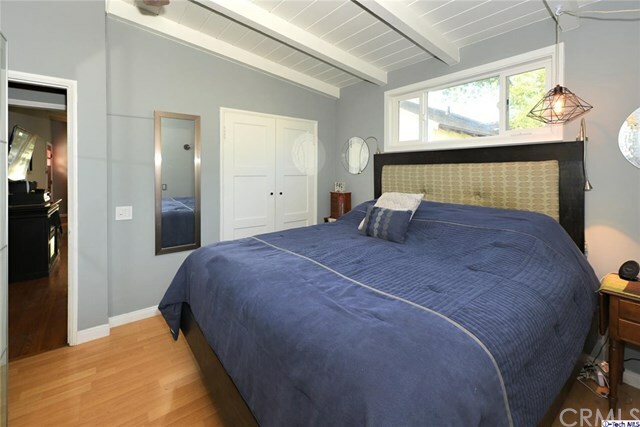 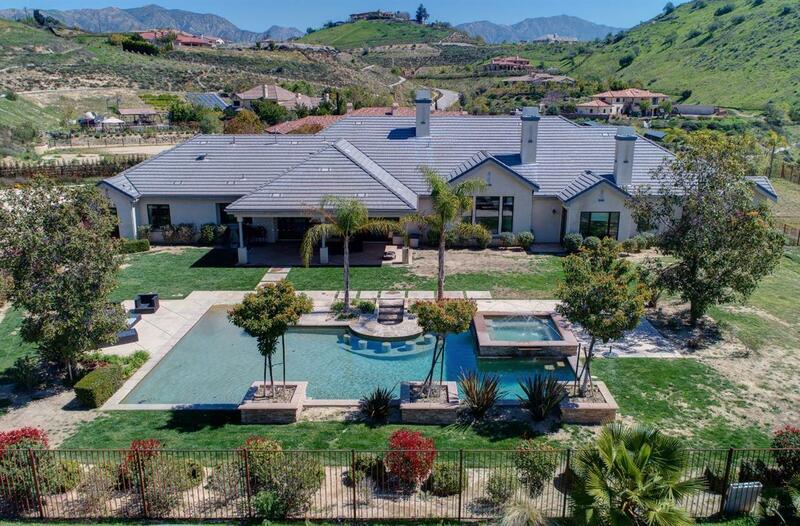 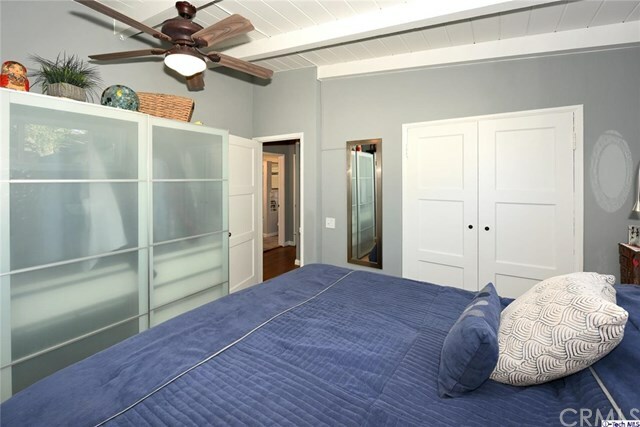 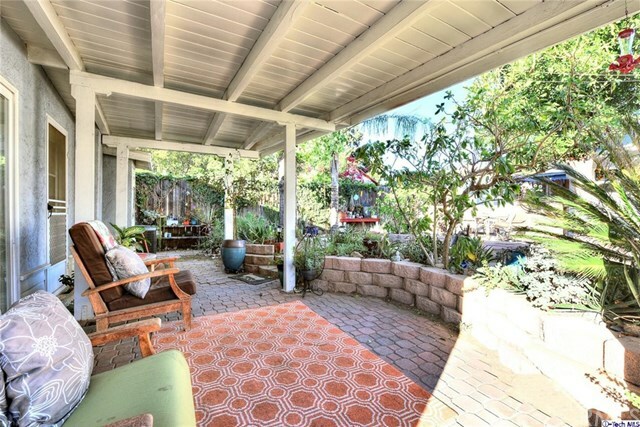 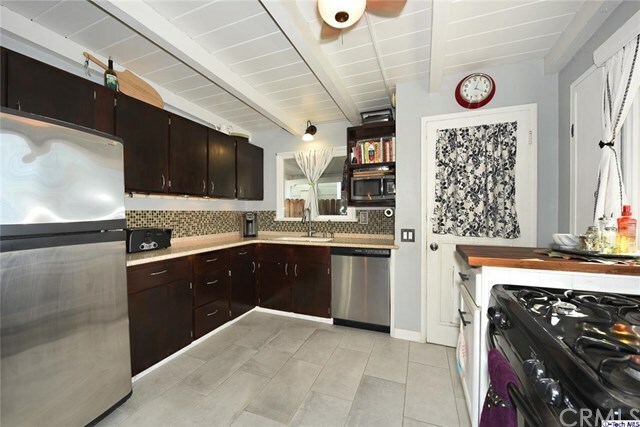 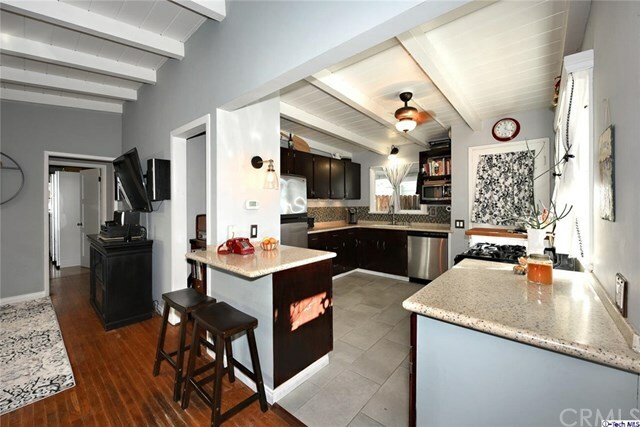 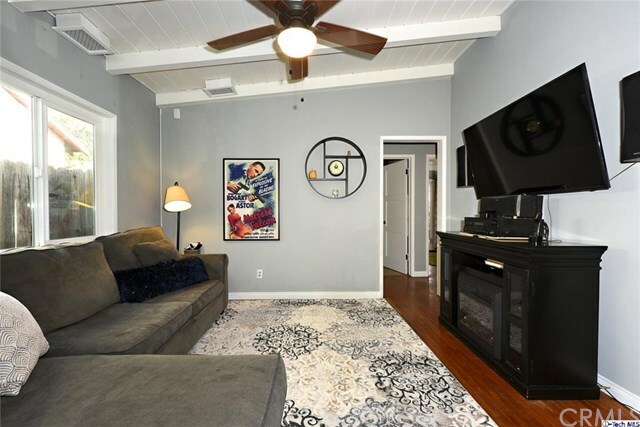 In the Foothills below the Angeles National Forest, this cute updated home is located on a peaceful street in one of Sunland's sought-after areas/pockets that boasts clean air & sunset views. 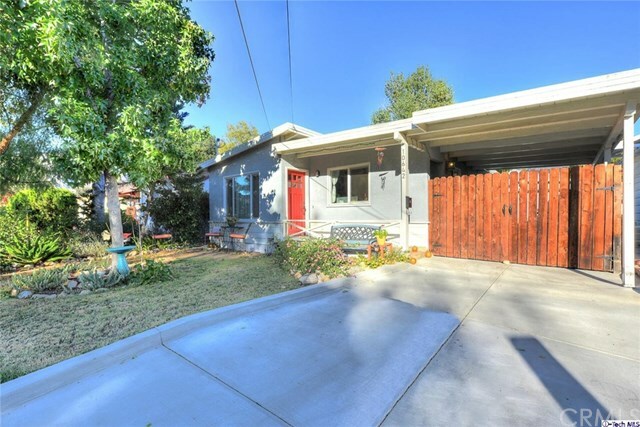 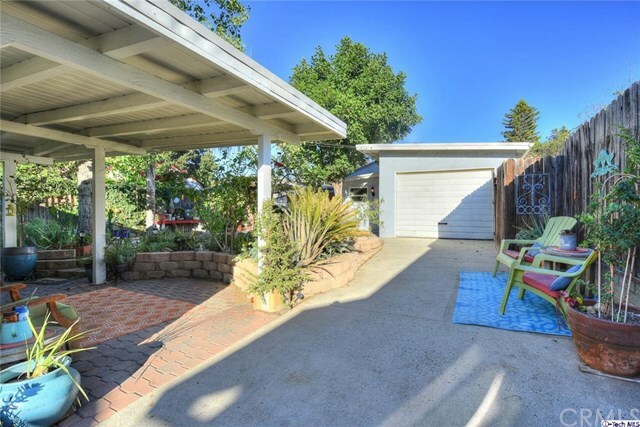 Welcome home to this Ranch Style 2 bed, 1 bath property whose exterior was painted within last 2 yrs along with a brand new concrete driveway in front. 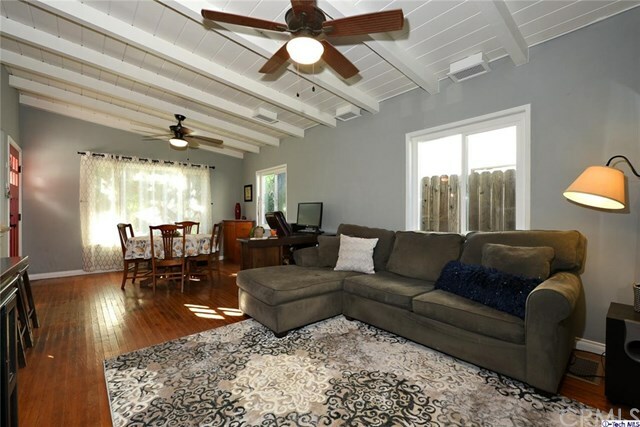 As you enter the home, you're met with an open living concept possessing beautiful open beam ceilings throughout, original hardwood & porcelain floors. 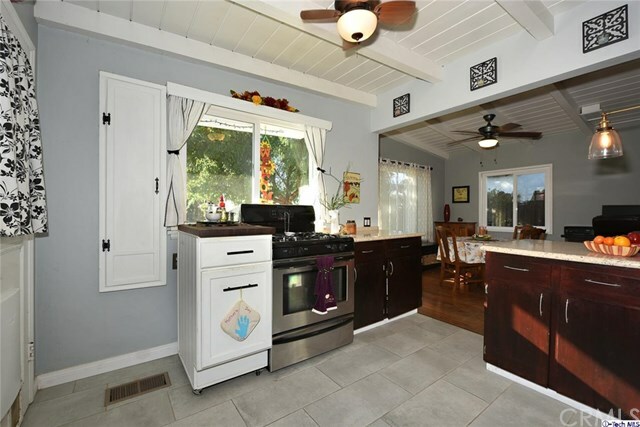 Updated kitchen has new porcelain floors, Corian counters, water purifier, stainless appliances & new dishwasher. 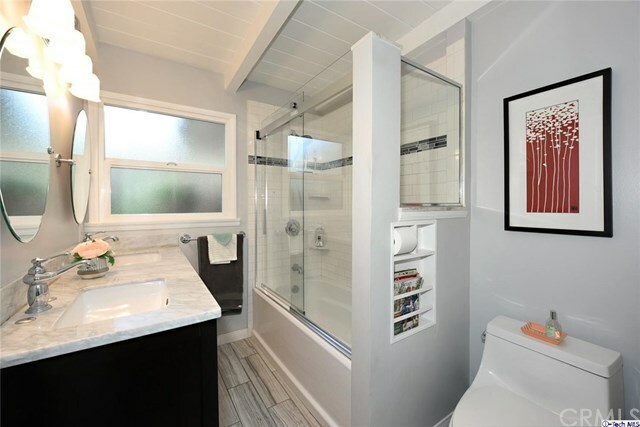 Bathroom was recently redone with porcelain tile flooring, new marble top vanity, mirrors & subway tiled shower/bath combo. 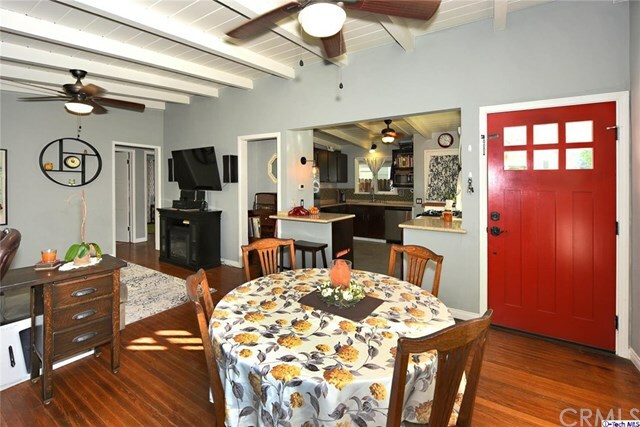 New interior paint throughout, ceiling fans in almost every room, new dual pane windows installed within 3 yrs, copper plumbing, newer central HVAC unit, access thru both bedrooms to the backyard, a serene park-like garden setting with a covered patio & fire pit, adjacent to a long driveway, covered carport & detached 1 car garage with dedicated laundry room. 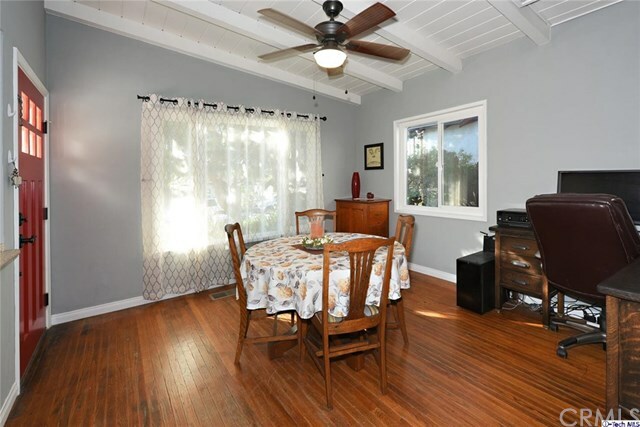 Easy 210 fwy access, 10 min to Angeles Crest Golf Course, 20 min to Pasadena-Glendale-Burbank, 30 min to Downtown LA, Hollywood, Dodger Stadium. 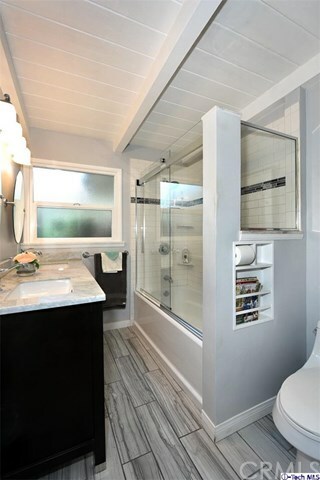 Close to a lot yet not to close!